Hey Kevin. Thanks for taking the time out to talk to me about your new film, ‘Red Line’. Different people from all walks of life use the Subway Train in Los Angeles everyday. On this day, the Red Line explodes while it’s full of passengers and everyone is buried 900 feet below the surface with no way of knowing if they will survive. With many of them dead, the ones who are alive have discovered a second bomb that is ticking fast! What they do every second is crucial now to surviving, but also trying to discover who the real bomber is or was. 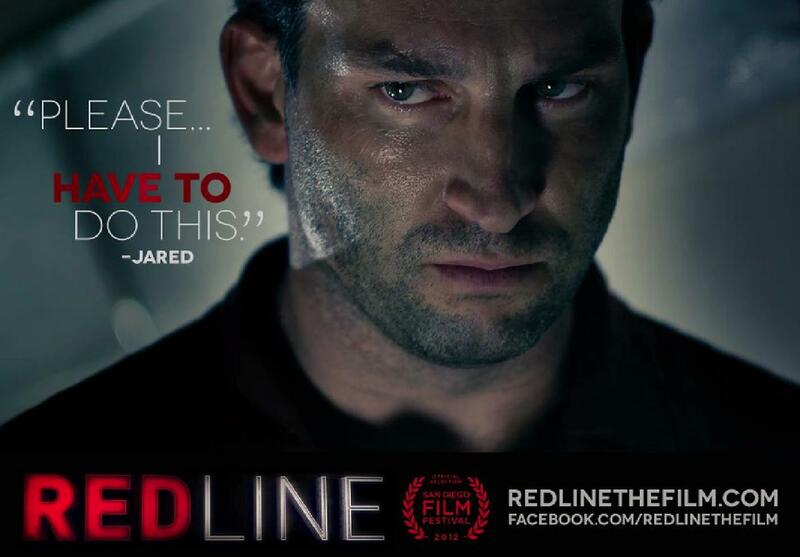 You can view the trailer at http://www.redlinethefilm.com. I portray Jared who’s a blue-collar hard-working father who saved up his money to treat his wife and daughter to the bright lights of Hollywood, CA. Little did we know that getting on the Red Line Train that particular day would end up being the worst decision of our lives. I did a film called ‘Useless’ – http://www.uselessmovie.com – that was part of the 168 International Film Project – http://www.168project.com. The rules are you have 168 hours to cast, shoot, edit, score….etc. your entire film. ‘Useless’ was fortunate to win Best Film, Best Cinematographer and I won Best Actor. Beverly Holloway who is a casting director saw that film and brought me in for the ‘Red Line’ audition, and the rest is history. 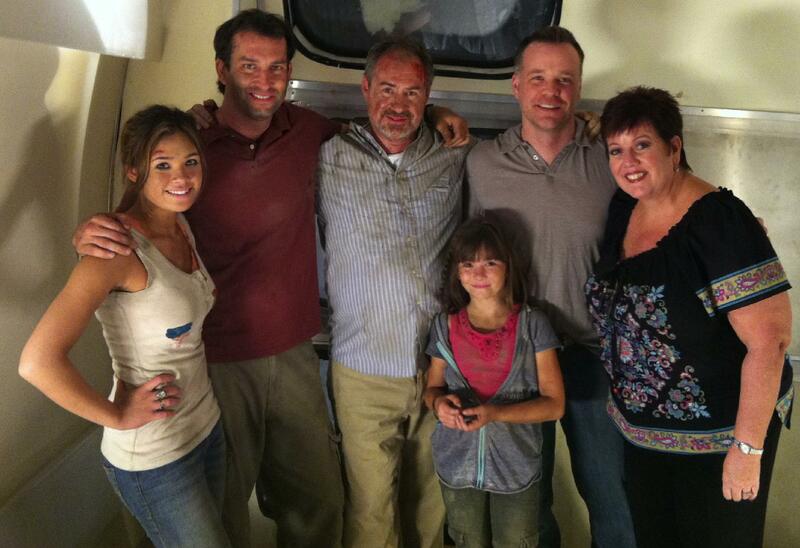 (Picture: Nicole Anderson, Kevin Sizemore, John Billingsley, Renee Sly, director Rob Kirbyson and casting director Beverly Holloway). This is the first time I’ve never shot an entire movie, give or take a day or two of pickups on a complete indoor soundstage. Also, there were first time crew members from John Paul the Great Catholic University who were amazing and producers Dominic Iocco and Chris Riley are both professors there. When student Tara Stone pinned the script ‘Red Line’, producer Tom Dunn was brought onboard along with director Robert Kirbyson (‘Snowmen’) and this film became the little engine that could. Now were having our world premiere at the San Diego Film Festival on Sept. 29th……it’s crazy! The film stars Nicole Gayle Anderson, John Billingsley, Kunal Sharma, your good self, Joseph Williamson, Mark Saul and Keena Ferguson – with Robert Kirbyson onboard as director – what was it like working with the cast and crew on-set? Any good anecdotes you can share? PRICELESS! ‘Red Line’ was the first film I have ever done where the entire cast and crew were on board to make the same type of movie. We had NO egos and the cast and crew were treated as equals…which is the way it should be. If the lighting, sound or focus on the camera isn’t correct and the actors can’t remember their lines, then you don’t have a movie. It takes an entire team to pull something like this off, and there are many people behind the scenes who don’t get the recognition they deserve for their work. I can’t wait to see how many projects will be coming out in the years to come that have crew members from ‘Red Line’ on them. I’m always pulling pranks on everyone and the best to do that with was on the lovely and talented Nicole Anderson – (@HeyItsNicoleA) who plays Tori. Once I hid in the makeup room and waited for her to walk in for makeup. Nobody was there yet and when she turned on the lights, I jumped out of her chair and scared her. I’m still keeping one eye open when I see her again for the paybacks! I like to keep a set loose and fun. Know when it’s time to work and when it’s time to play! One thing I didn’t touch on was your collection of sports memorabilia – which piece is your favorite and how did you acquire it? My wife bought me a limited edition (#3 of 32 total) Hall of Fame helmet signed by running back Marcus Allen of the RAIDERS! About 16,000 songs man…. including my Grandma Brown’s Bluegrass Gospel album she did in the 70’s. But what gets me going are the bands like Tesla, Whitesnake, a compilation of country songs – (Tim McGraw – Keith Urban etc, Christian Rock – (David Crowder Band – Jeremy Camp – Third Day etc). My favourite song of ALL TIME is ‘My Wish’ by Rascal Flatts… those words are exactly what I wish for my son and we sing it all the time! Jesus Christ because I would want to ask him many, many questions, and maybe play some basketball with him. I would bet he’s pretty good! My family ALWAYS! They are my rock and I cherish everyday with them. Clint Eastwood…because he’s friggin CLINT EASTWOOD man! My Uncle Duffy Sizemore because his life was taken too quickly and I never had the opportunity to get to know him like I wished I could have. Grandma Brown who would LOVE to see me doing what I do. She was a songwriter, singer and a guitar player. What a talent she had and we talked about my career when it was nothing more than an idea. My wife Gina’s mother Veglia Lombardi because I never had the opportunity to meet her. She passed a year prior to Gina and I meeting, and I had I never got to pull some really good pranks on her! My Bible because I can still attend my Friday morning Men’s Bible Study… but I guess it would just be me talking every week? An entire family photo – (wife, son, parents, brother, sister-n-law, nephews, my grandparents & my wife’s parents), because I wouldn’t want to forget their faces. My wedding ring because that circle of unity between my wife and I is the cornerstone to my life and to see all the great things that we’ve been able to be a part of and do together is something I don’t want to ever forget. 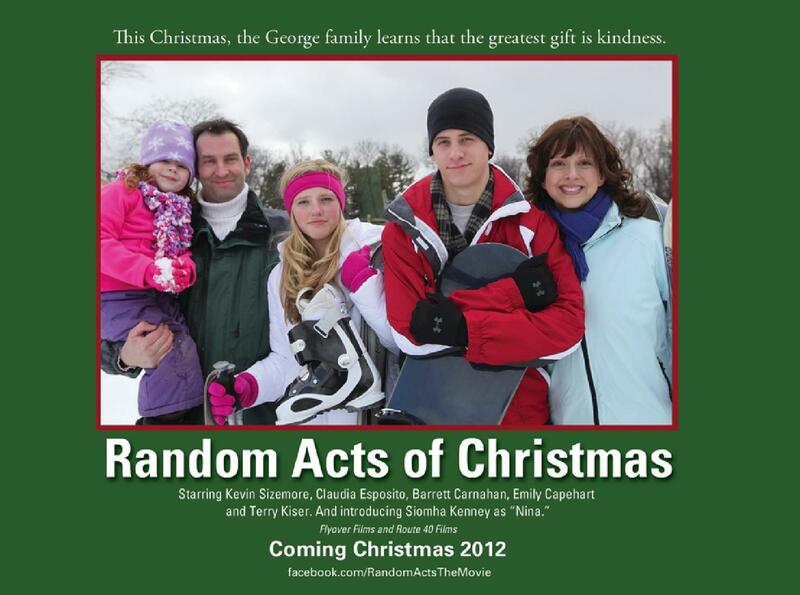 (Picture: Siomha Kenney, Kevin Sizemore, Emily Capehart, Barrett Carnahan & Claudia Esposito). Previous Shaun Austin-Olsen – (Irvine Welsh’s Ecstasy – 2011). Next Todd Von Joel – (Offender – 2012).